Most air conditioning systems these days are heat-pumps which means they heat and cool. This has been made more effective with R410a gas which has a higher pressure and the correct heating properties thus producing more heat. Heat-pump air conditioning these day produce astonishing efficiently with some air conditioning manufactures producing 6x input, usually called COP Technically the air conditioning unit produces heat by reverse cycle. The condensing unit (outdoor coil) becomes the evaporator taking heat from the outside air and blowing cold air from the coil. The evaporator (inside coil) then takes cold out of the indoor air and blows heat in. Air conditioning heating is by far the most efficient way of heating. 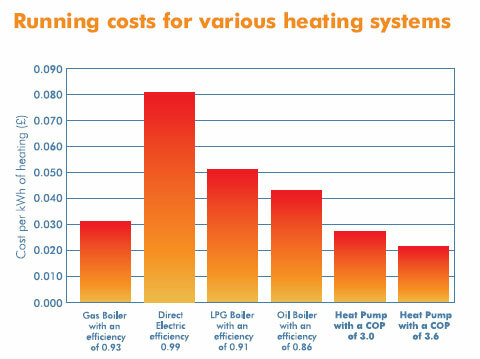 Take a look at the cost of each heating system. Air conditioning heating.. Becoming ever more popular the air conditioning heating / air source heat-pump is ideal for space heating areas where existing water systems are in place such as radiators. They work in the same principle as air conditioning and refrigeration but generally the air source heat-pump is used for air to water heat transfer where air conditioning is air to air transfer. < link:www.orionairsales.com> each year installed heat pumps. 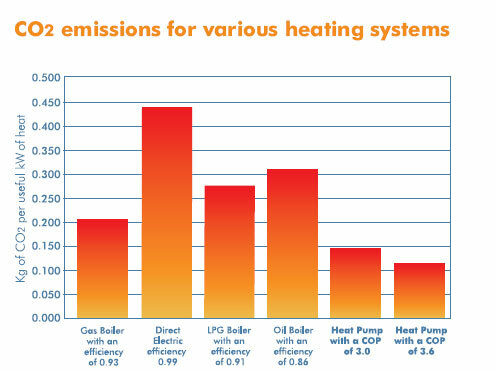 If a air conditioning heating air source heat pump also replaced 10% of the gas boilers sold each year in existing properties, the potential annual saving would increase to over 2 million tonnes of CO2 by 2016. By transforming the energy found naturally in outdoor air and using that to help provide cost effective heating, we’ve already established the efficiency of air conditioning heating systems and the fact that it ‘upgrades’ energy. Take that one step further and consider using air conditioning heating powered by electricity from a renewable energy source such as wind, biomass, solar or tidal and you could have a heating system that is zero carbon rated. Another advantage with air conditioning heating is it’s ease of installation and design flexibility. A perfect answer to those wide areas of the UK that are not perhaps on, or likely to be on the National Gas Grid. This negates the need to consider the more costly options of electricity or oil and removes the need to negotiate the enormous expense and disruption of extending the National Gas Grid. Whatever the location. < link:www.orionairsales.com> There is currently a substantial under supply of housing in the UK. In order to meet the demand for new homes, the housing sector is set to increase its build rate by 23% over the next 20 years. This means that by the year 2050, over a third of the UK’s housing stock will have been built inside of four decades. The Government is therefore focussed on using this growth as the ideal opportunity to cut energy use and water consumption in homes and is introducing legislation and guidelines in support of this.